We pride ourselves on providing unique collections to provide diverse experiences for our community of users. 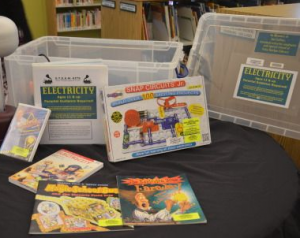 These kits are science, technology, engineering, art, and math themed. Each has hands-on activities, books, handouts, and movies. Watch a video about them here: bit.ly/STEAMKITS We created these kits ourselves! Each kit is for different ages ranging from 7 to 12 years old. Our newest collection! 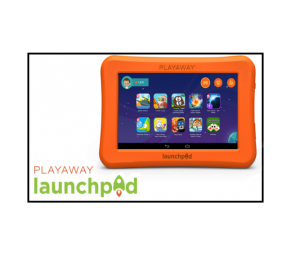 These tablets are built especially for kids! Each has a unique theme, from science, to math, to animals and even eBooks! You don’t have to worry about connecting to the internet or downloading anything, so there’s more time to play! We have titles for ages 5-12. Check these out in the Children’s Room. Check out a guitar, violin, keyboard, a dulcimer or more! 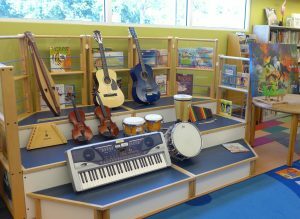 Each instrument comes with a teach-yourself book and an online resources guide. A circulating collection of adaptive toys, communication devices, capability switches, and games for children with special needs. Items in this collection are specifically designed for children who are developmentally delayed or physically challenged. Families may borrow three adaptive toys plus one capability switch if required for 28 days. For a complete list, click here. 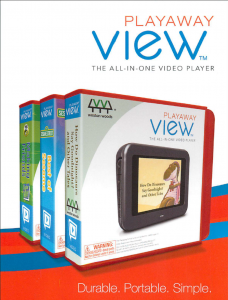 The first self-playing, pre-loaded, library-exclusive video player – with educational yet entertaining content perfect for your little ones! Does not access the internet and has zero advertisements. Sturdy enough for your 3 year old, interesting titles for your 12 year old!